(1) Hours. The clerk’s office—with a clerk or deputy on duty—must be open during business hours every day except Saturdays, Sundays, and legal holidays. 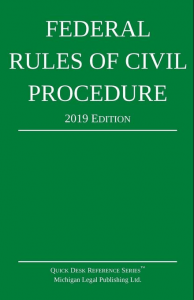 But a court may, by local rule or order, require that the office be open for specified hours on Saturday or a particular legal holiday other than one listed in Rule 6(a)(6)(A).